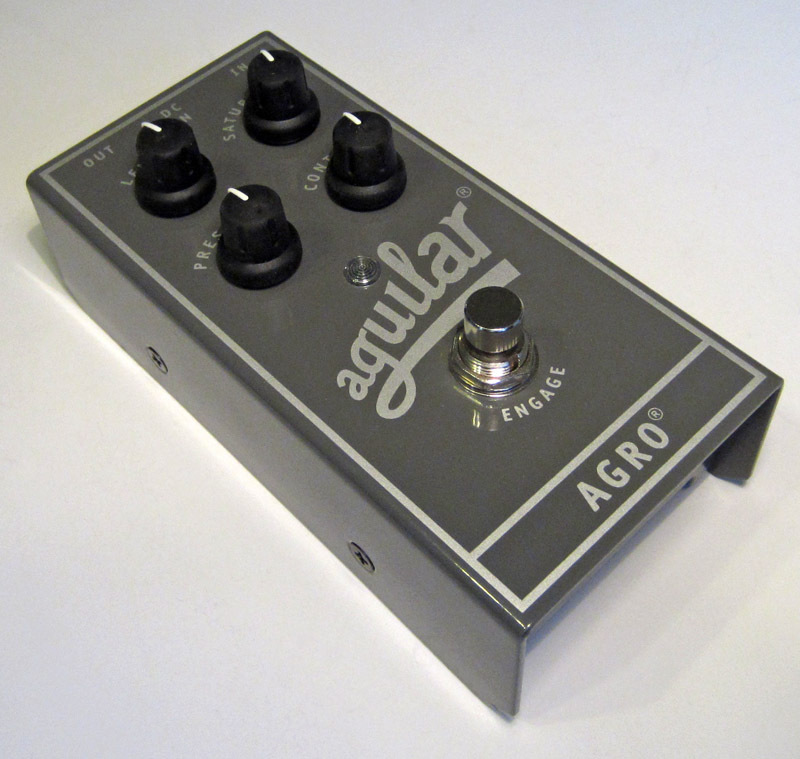 Aguilar Agro: I have been wanting one of these for a long time and finally got one for myself. When it arrived, after 10 seconds of playing thru it, I immediately loved it. Aguilar is well known for their great sounding and high quality bass amps and this pedal fits right in with their line. The enclosure is built like a brick sh*thouse so I expect it to be extremely durable. Featuring true bypass, it's controls consist of level, saturation (gain), presence and contour. It's not absolutely transparent and has a slight bump in the mids but in my opinion that just adds to its character and it's ability to cut thru in a mix. It can go from almost clean to a very aggressive distortion and anything in between. To me, it's distortion's tone is absolutely gorgeous sounding. The presence control is very usefull to tame the highs or to boost them if you find that necessary. The contour affects the mids so you can either scoop or boost them. It's a very dynamic pedal that responds to your playing style and reacts with more dirt the harder you dig in. Its mids actually kinda reminds me of playing thru one of my SVTs with an 810 cab geting pushed into distortion. Below is a quick soundclip that I made of it using a '59 p bass, with dead roundwounds, fingerstyle, playing thru a Genz Benz Streamliner 900 with a 215 Eminence 3015 cab recorded on a Zoom H4n.